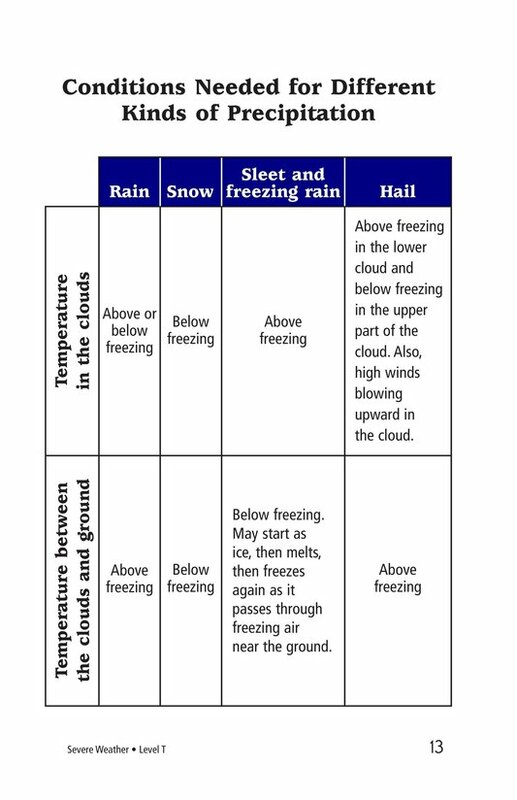 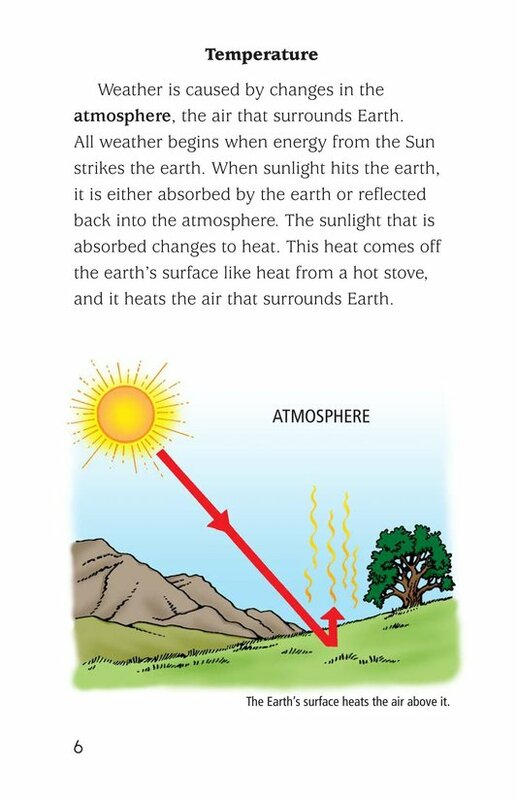 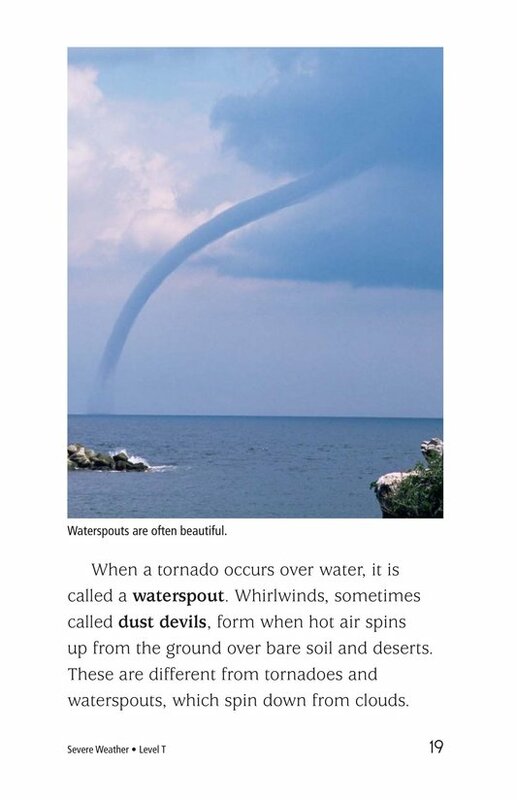 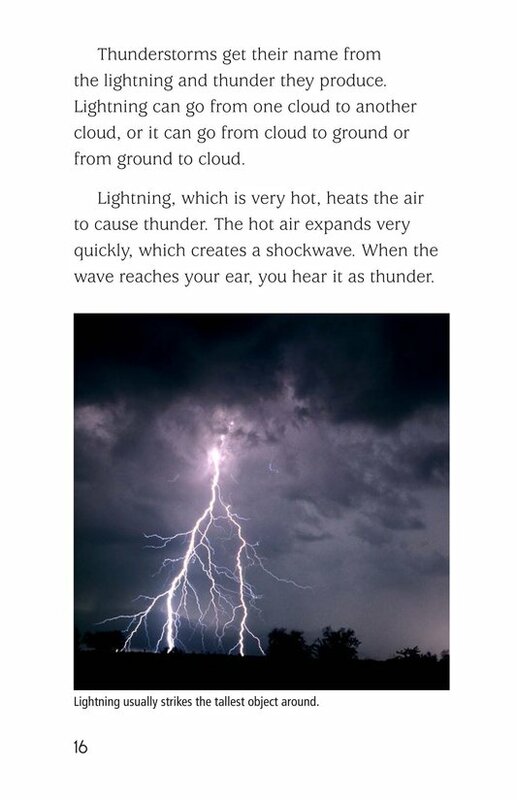 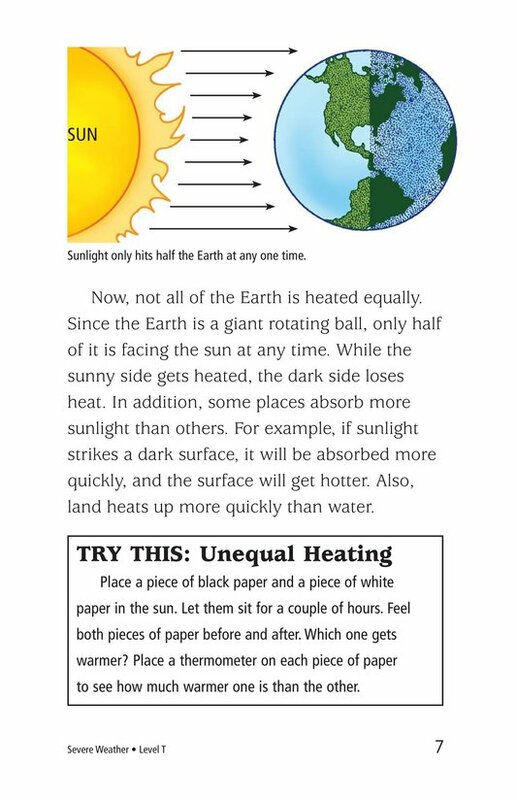 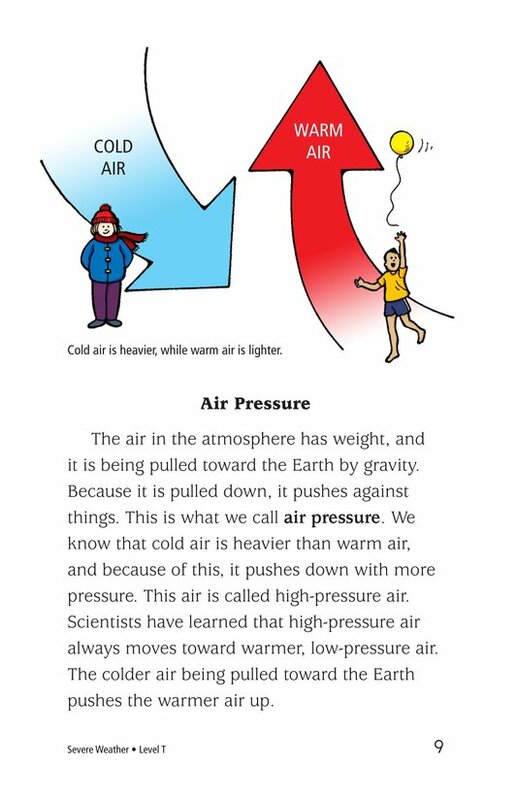 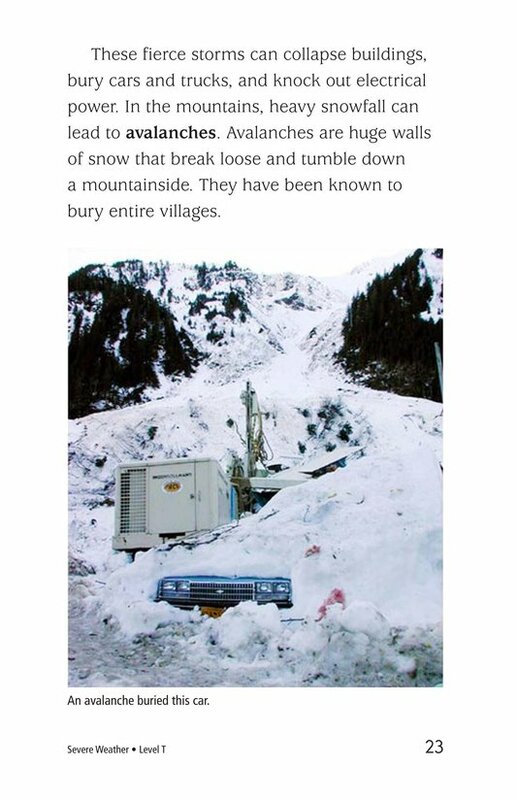 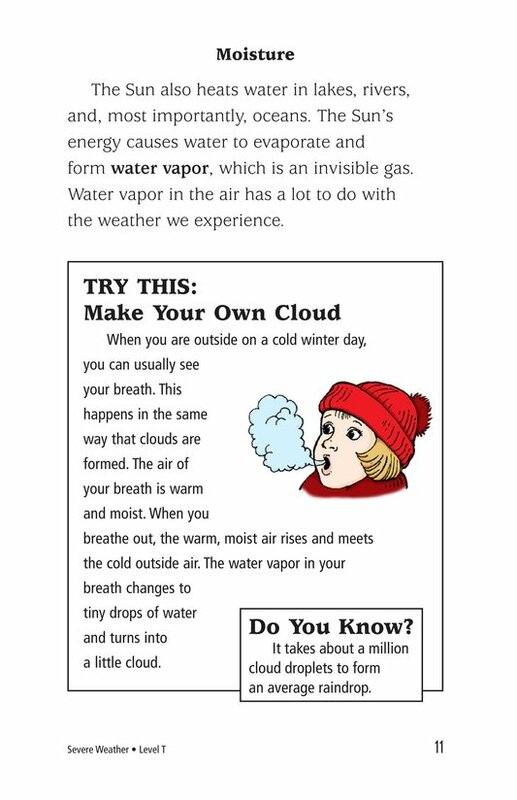 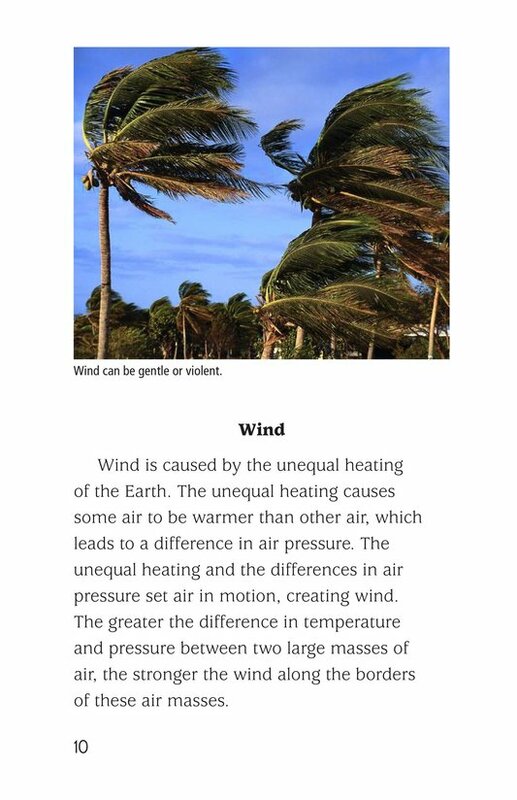 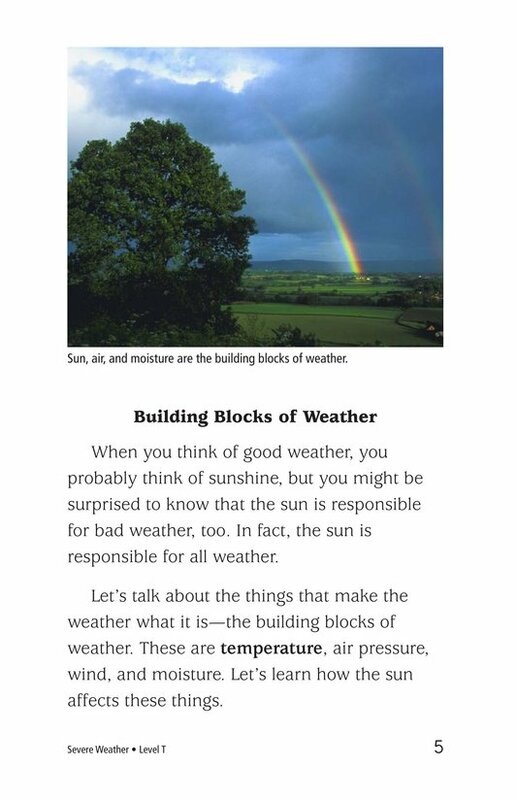 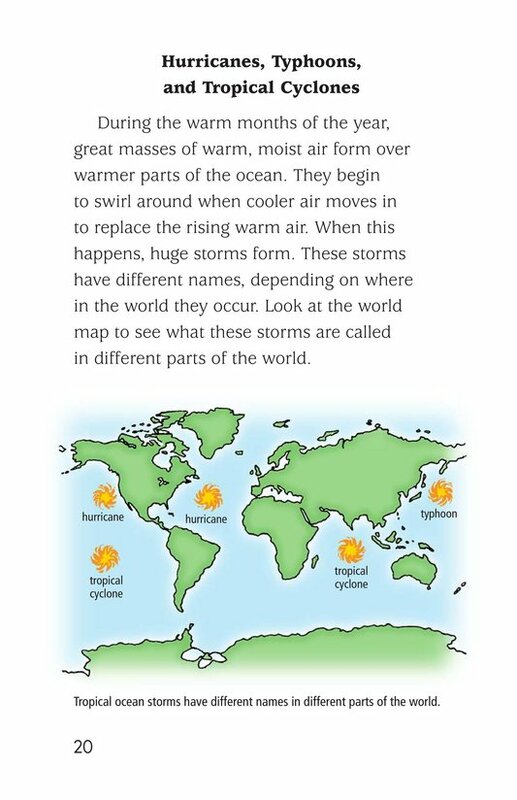 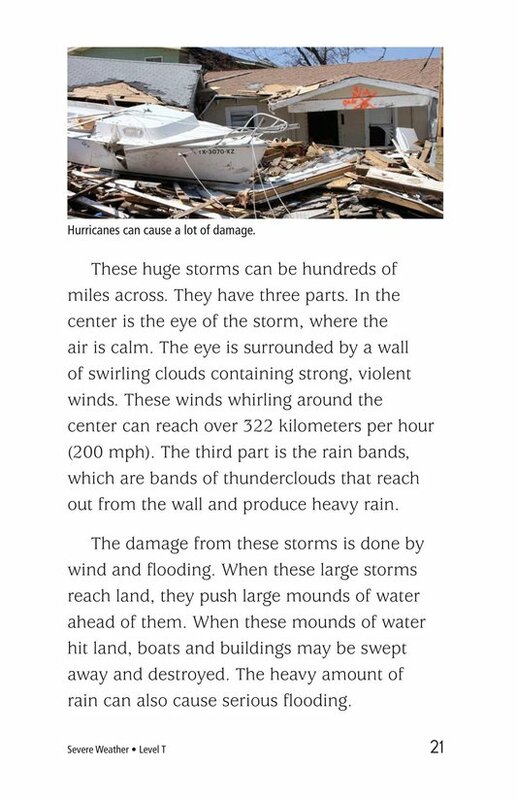 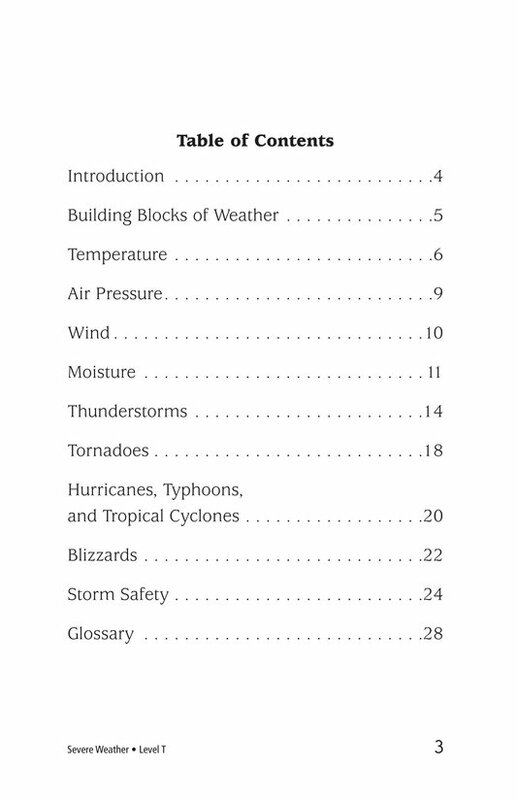 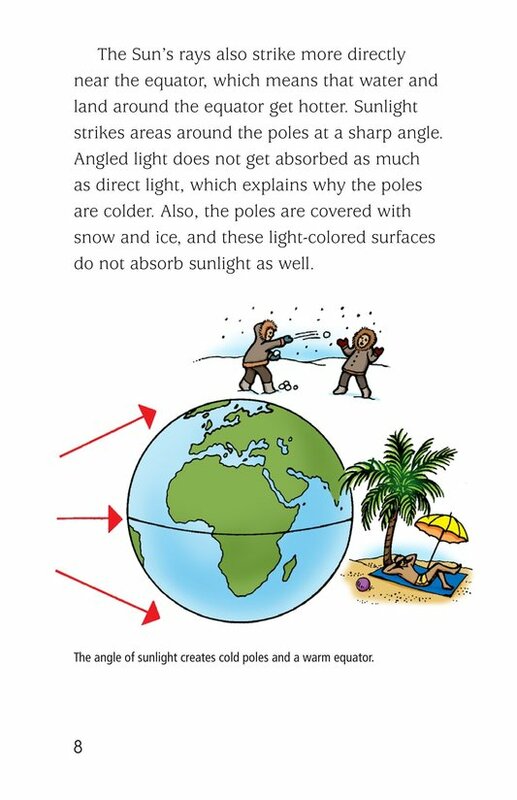 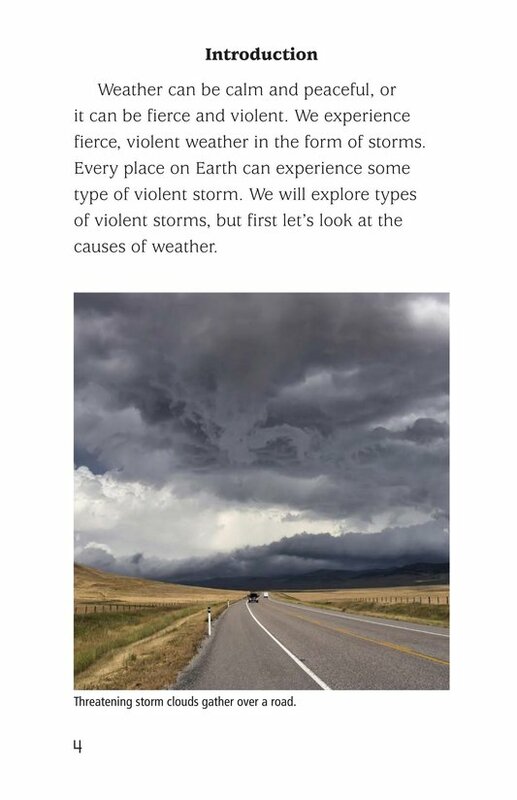 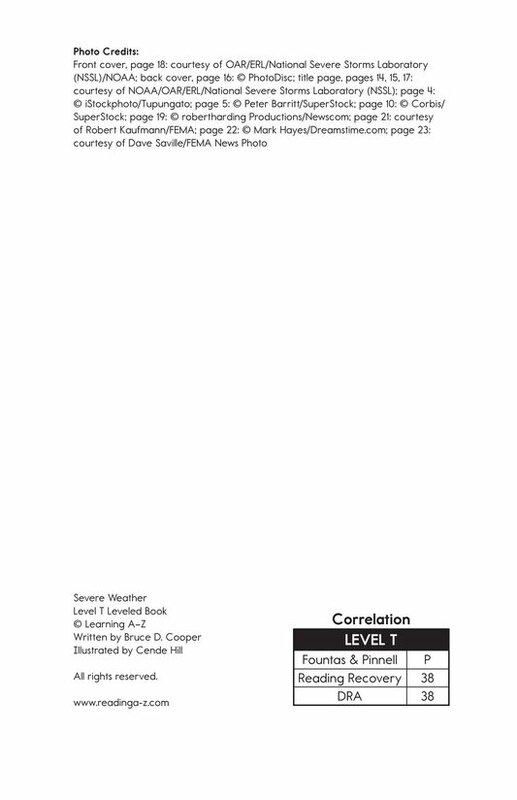 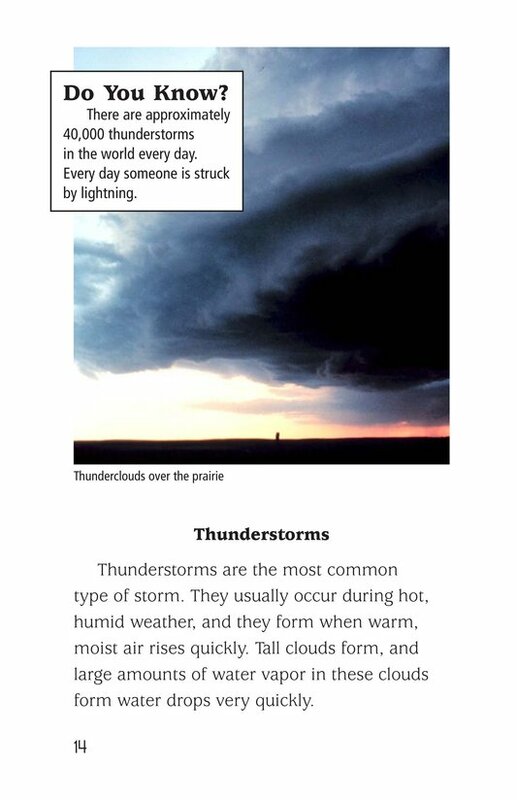 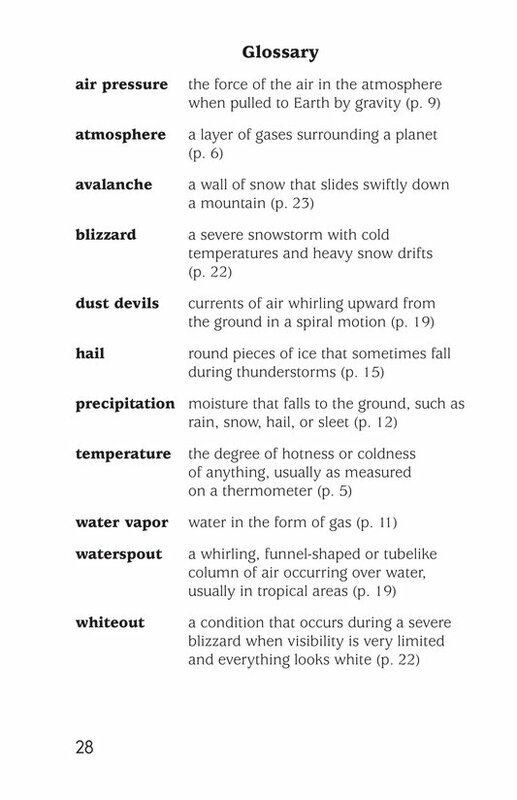 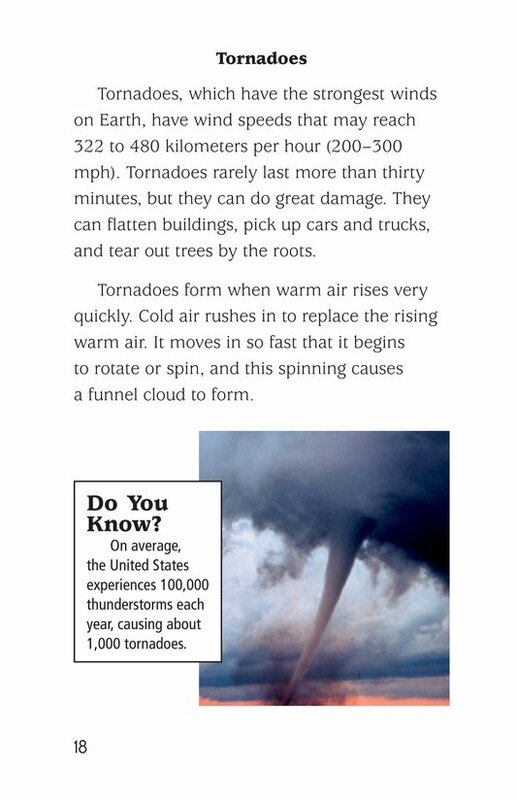 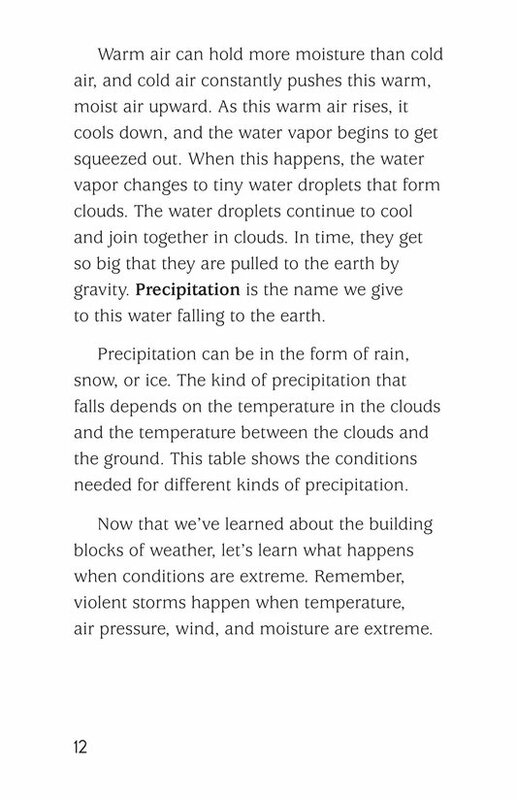 Severe Weather is a factual text that discusses temperature, air pressure, wind, and moisture, which combine to form various kinds of weather patterns. 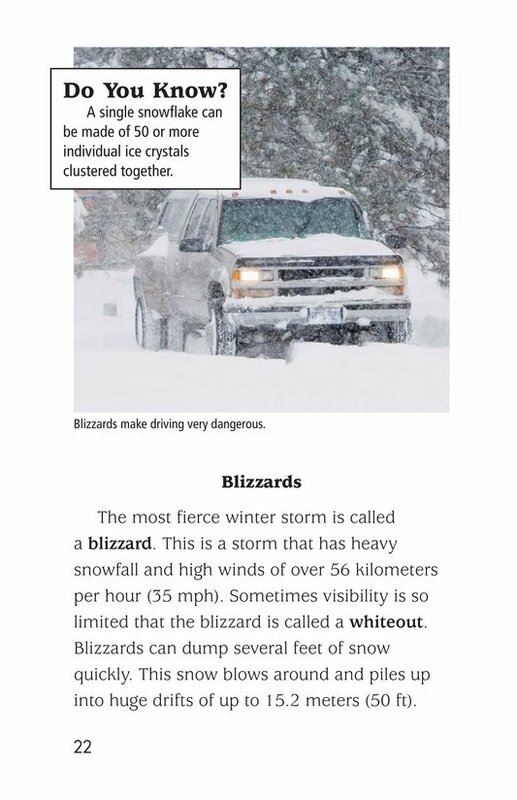 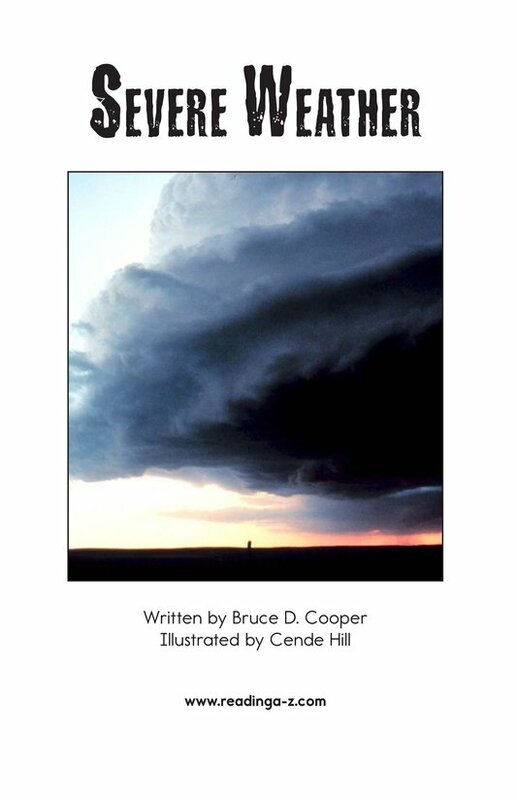 Thunderstorms, tornadoes, hurricanes, and blizzards are all forms of extreme weather that are discussed in this book. 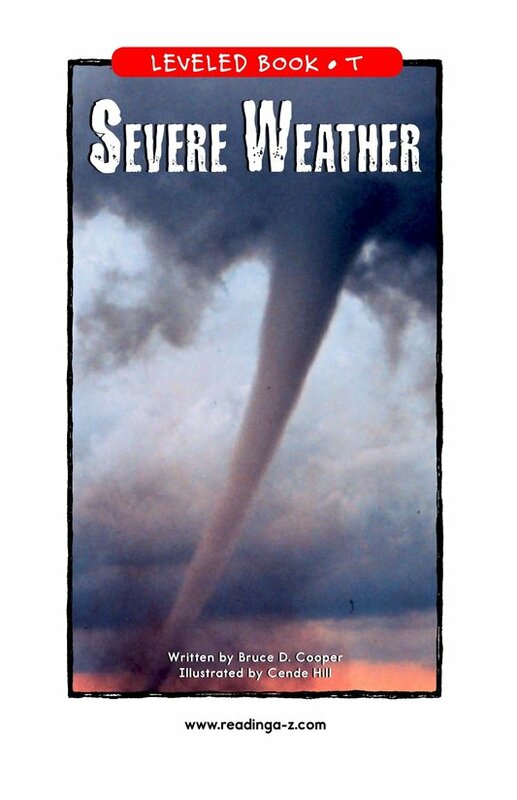 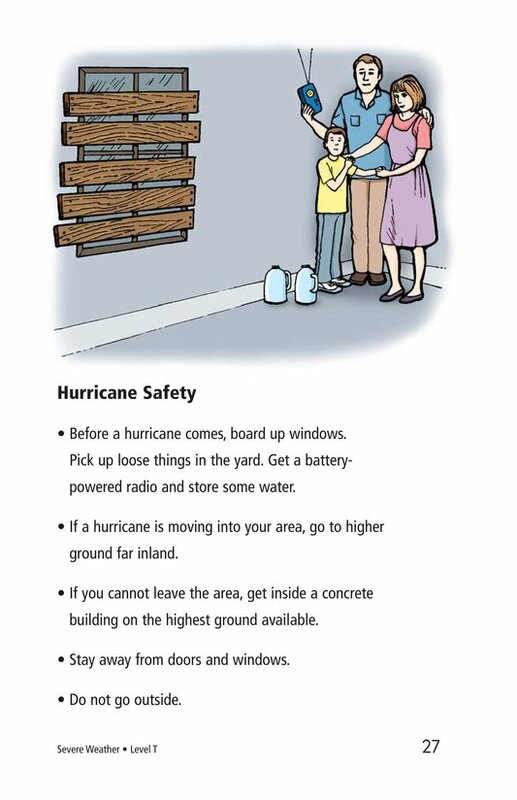 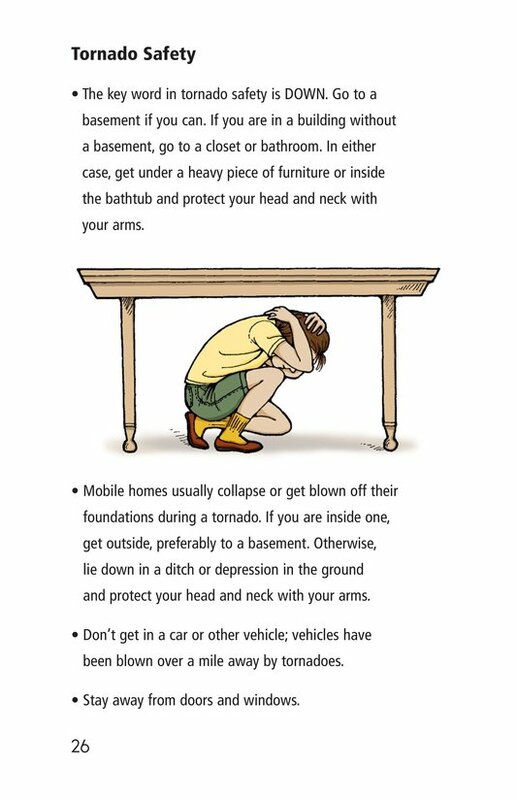 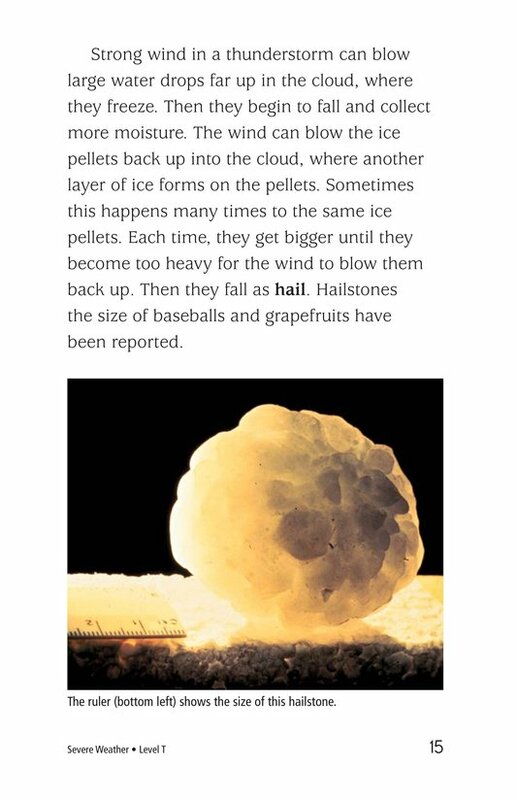 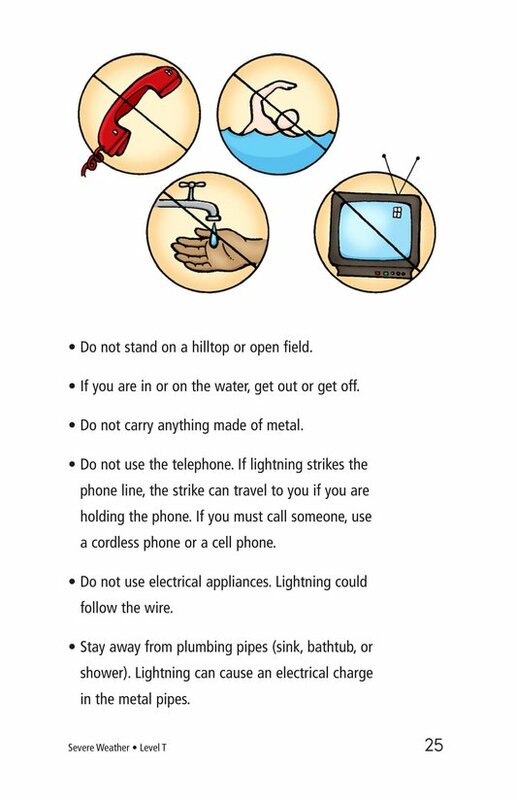 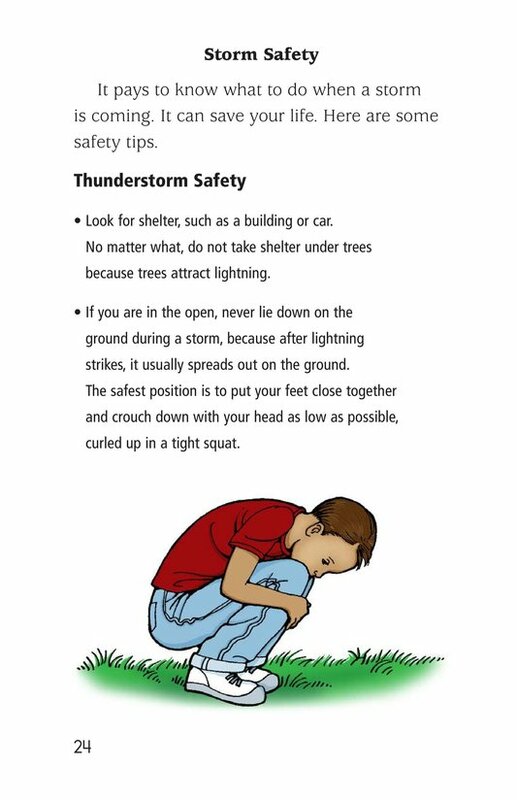 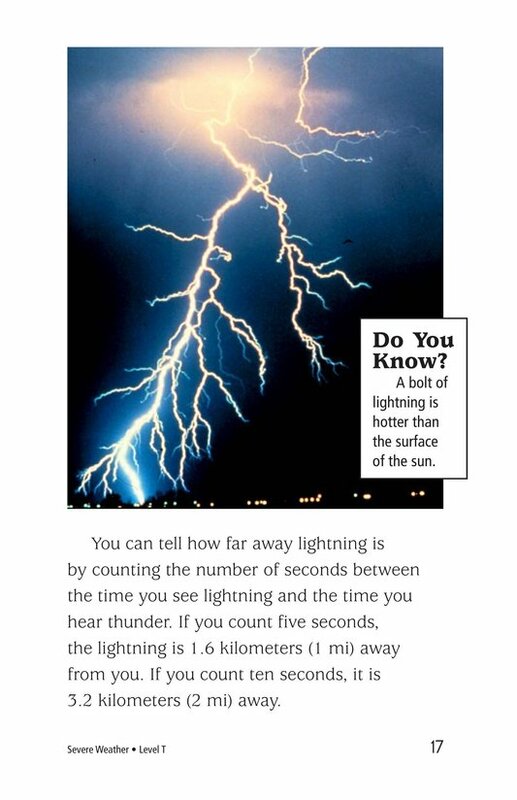 The book also talks about safety precautions that people can take to minimize the risk of injury during severe weather.